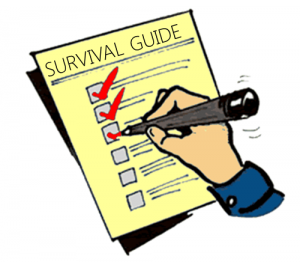 College Survival Guide – We have had great success in keeping students well when going off to school. While many things are hard to avoid, following some simple tips can make a huge difference. For breakfast, choose eggs, fruit, toast and yogurt when available. Avoid high sugar options like cold cereals and pastries. Alcohol: Choose dark beers, red wine and high quality hard alcohol. There are health benefits to alcohol, but it doesn’t come from binging on the cheap stuff. Trying to avoid a hangover? Stick with Vodka or Tequila (both with lime) and make sure to drink water in between drinks. “Sorry, I missed that last tip and I’m hungover. What do I do?” Drink coconut water, have a meal with some fat and take extra B-complex. Treat studying like a mental workout. Your body begins to require a constant supply of glucose to focus. Eat at consistent times with good sources of protein at each meal, keep snacks and water or electrolyte drinks on hand. If you are needing help with stress, concentration and increasing mental stamina, consider the herb Rhodiola Rosea. In multiple double-blind, placebo controlled trials, Rhodiola Rosea enhanced learning, prevented mental fatigue, reduced errors and improved the quality of work produced. 1,2 Phytoadaptogens are a class of herbs which increase the capacity to adapt to stressful conditions and which have been used medicinally since the 1960’s in the for- mer USSR. The most extensively researched are Aralia mandschurica, Eleutherococcus senticosus, Rhodiola rosea and Schizandra chinensis (Wagner et al., 1994; Brekhman and Dardymov, 1969). Of these, Rhodiola rosea has the most pronounced effect on mental fatigue during stress and strain (Saratikov et al., 1987), al- though all of them have some effect on mental and physical work capacity against a background of fatigue and stress. We recommend Cortisol Calm by Pure Encapsulations which also contains Rhodiola Rosea. 3.Bhattacharya SK, Bhattacharya A, Sairam K, Ghosal S. Anxiolytic-antidepressant activity of Withania somnifera glycowithanolides: an experimental study. Phytomedicine. 2000 Dec;7(6):463-9.